The Delhi Walla was one afternoon taking a stroll in a by-lane in Paharganj, a claustrophobic neighbourhood near New Delhi railway station. 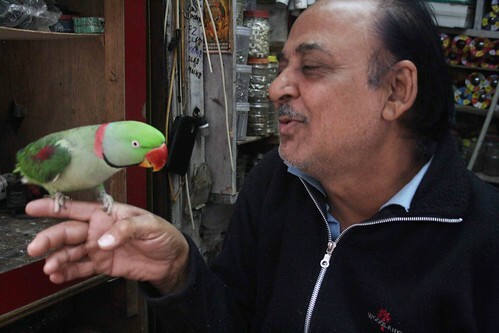 While the principal street is lined with hotels and cafes targeted towards the foreign tourists, the inner alleys of Paharganj are home to the area’s residents. Reaching at the middle of a street, I witnessed an incredible sight. 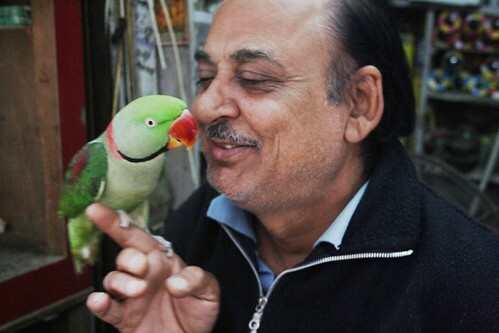 A shopkeeper, sitting at his hole-in-the-wall store, was chatting with a parrot. 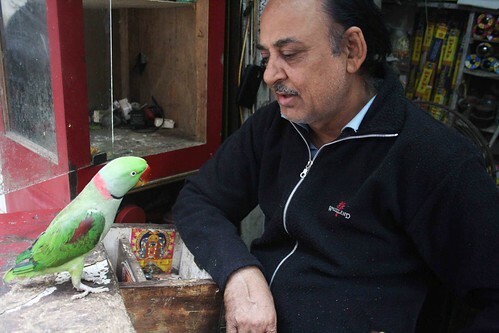 The green bird, perched on the store’s counter, was replying to the man in her rehearsed man-bird voice. The conversation continued. 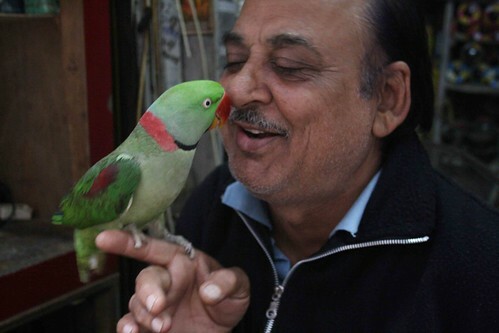 After a little while, the man bent down his head and whispered a few words to the parrot. 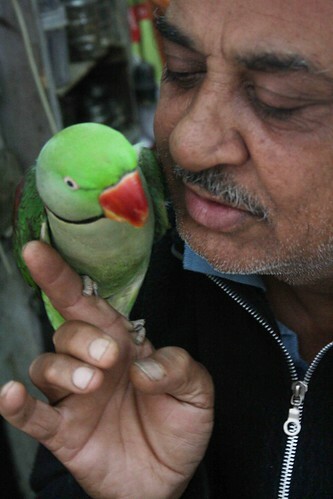 The bird fluttered her wings and hopped onto the man’s forefinger. The man gently moved his hand close to his face. 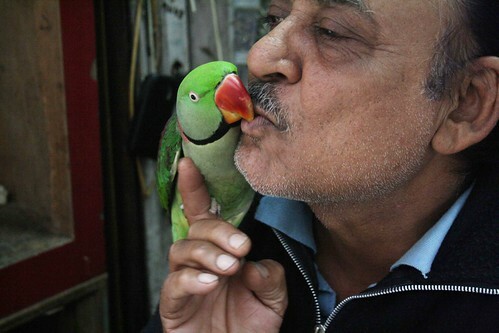 The bird gave him a peck on the nose. The man laughed. 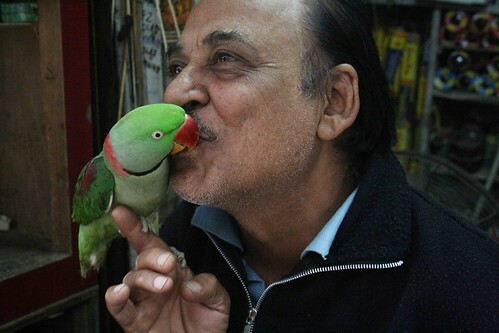 They then kissed each other – lips to the beak. It was a beautiful moment.